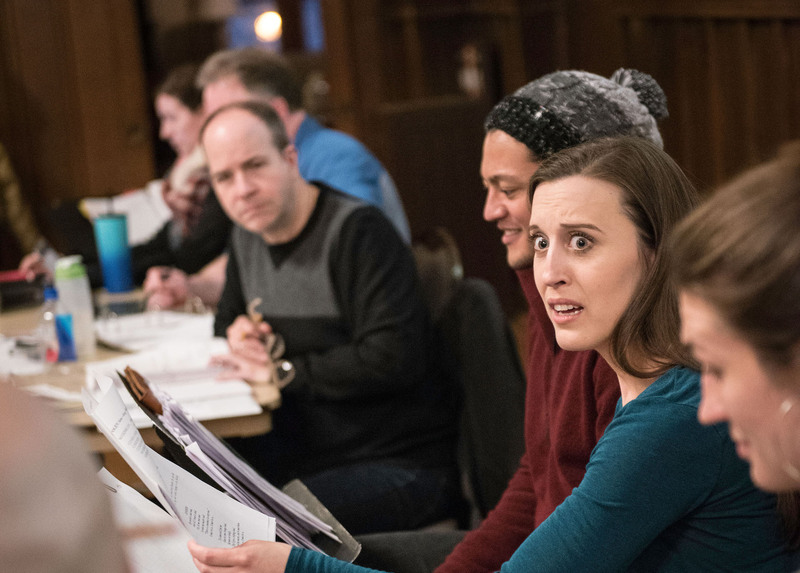 Opera is seemingly everywhere in the Twin Cities in March, with productions and concerts by the University of Minnesota, Minnesota Opera, Skylark Opera Theatre, and more. Into this tangled period leaps the choral music ensemble VocalEssence, which has chosen “The Best of All Possible Worlds” – that is, to perform Leonard Bernstein’s classic operetta Candide in conjunction with Theater Latté Da. VocalEssence’s Candide will be presented in semi-staged performance at the Cowles Center for Dance and the Performing Arts from March 21-24. 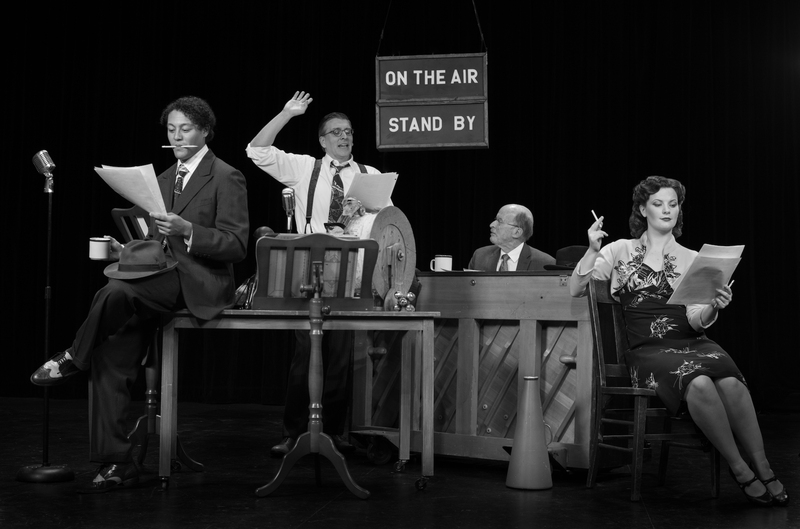 An unusual feature of this production is that it reimagines the work as a 1930s radio drama, complete with foley effects – the brainchild of director Peter Rothstein. Soprano Liv Redpath plays Cunégonde, a woman whose on-stage adventures include being stabbed, abducted and carried across oceans and continents, and having too put up with the amazingly optimistic Candide. Redpath spoke with the Arts Reader‘s Basil Considine about this role, navigating a singer’s career, and seeking out just the right pizza in the Twin Cities. 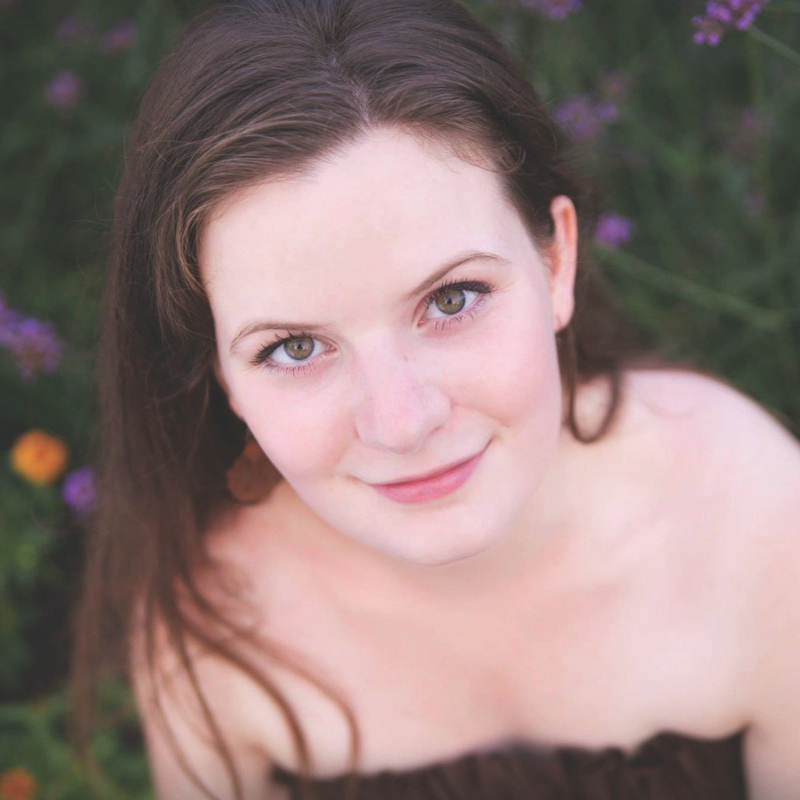 Soprano Liv Redpath stars as Cunégonde in the VocalEssence/Theater Latté Da concert performance of Candide. There are multiple (and often very different) versions of Candide out there. Which one are you singing for this production? We are presenting the 1999 Royal National Theatre version, with significant edits made by John Caird in dialogue sections. He advocated for a return to text that holds much closer to the original Voltaire–beyond this, the musical numbers remain much the same as other versions. You covered Cunégonde in Candide last year. “Glitter and Be Gay” is also a concert and audition staple for sopranos – do you remember when and how you first encountered the aria? When you learned it? I first sang the aria at age 15 for a theater showcase at Edina High School – at the time, I was both very excited and very nervous. Now, the piece is an old friend. Though it is a popular audition and concert piece, I think it stands up best within the framing of the show. With that said, I’ve sung it recently in many contexts: an orchestra concert in the park in Palm Springs, to close Houston Grand Opera’s Eleanor McCollum Competition, in production at Harvard, and for most of tech week last season at LA Opera, filling in for an ailing Cunégonde. “But what about snakes?” The cast and company rehearsing for VocalEssence and Theater Latté Da’s co-production of Candide. Photo by Bruce Silcox. You’re currently in your third season in LA Opera’s Domingo-Colburn-Stein Young Artist Program. How has this influenced your audition & gigging? The short answer is: positively. The Domingo-Colburn-Stein Young Artist program is a chance to be in residence at a major opera house for a number of seasons. Most artists with international careers are over 30, which means young singers enter a strange no man’s land after graduate school in their mid-twenties: we still have lots of growth to accomplish, but aren’t yet prepared to take on major roles on large stages. My program is one lucky solution to this problem. this season, I sang Gretel in Hansel and Gretel opposite the amazing mezzos Sasha Cooke and Susan Graham. Working with each of these inspiring people has taught me so much – and all on my feet. Through each of these opportunities at the company, I have gotten to learn in the most valuable and expeditious way: by doing. A promotional photo for the VocalEssence/Theater Latté Da co-production of Candide. L-R: Phinehas Bynum, Bradley Greenwald, Philip Brunelle, and Liv Redpath. Photo by Allan Weeks. Is there any direct overlap between what you do in the YAP vs. your other engagements? The productions mentioned above functioned almost identically to any other experience I’ve had professionally, but the part of the YAP that I didn’t address is all of the training we get on the side, which is the reason I have had success on the mainstage! What isn’t given with other engagements are voice lessons with one of the best teachers in the business, coaching with amazing staff pianists, group classes to get feedback, intensive acting workshops, improv comedy, and lots of understudy and role study opportunities. With other freelance jobs, I show up and work with my cast members and the artistic staff on a singular goal: putting on a show. LA Opera is mutually investing in my progress as a young artist, in hopes that I mature into an artist who both they and other companies can ask back for larger responsibilities down the road. 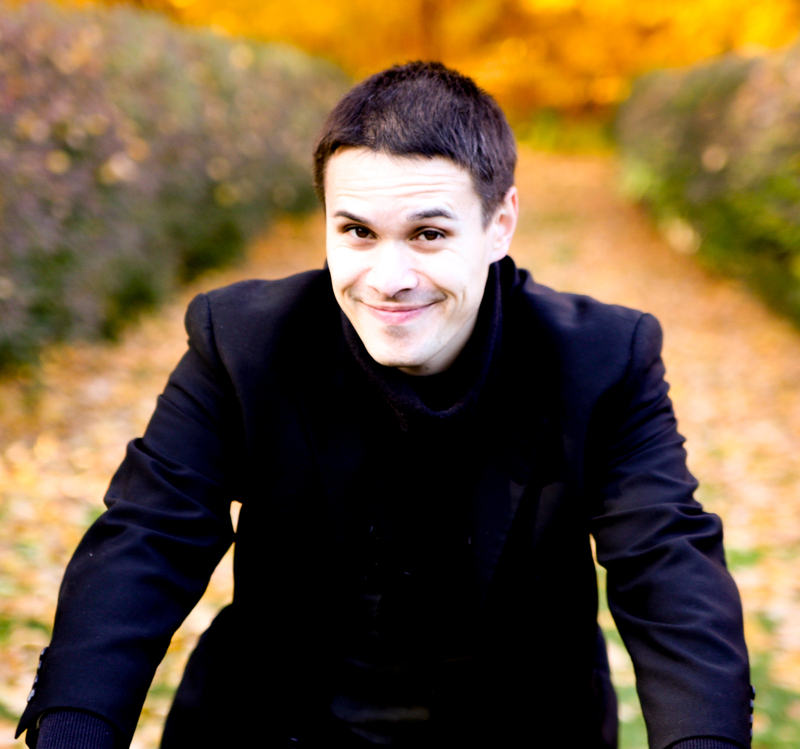 You recently sang a Valentine’s Day concert with Casa Romantica. Assuming that stealing hearts isn’t just an everyday activity for you, how did that gig come about? I often get pleasantly surprising emails from people I haven’t met, asking me to sing; this was one such situation. As I’ve now learned, Casa Romantica is a beautiful old mansion on the ocean in San Clemente down the coast. It was a chance for me to give a recital of mostly art song, which is another facet of classical voice. If opera deals with storytelling as a play would, then art song is more like a poetry reading, and sometimes a one (wo)man show. Though art song is less popular than opera these days (probably because it’s a smaller-scale pursuit), I find it extremely rewarding and jump at any chance to give a recital. This audience was mostly new to the medium and I think all walked away happy! 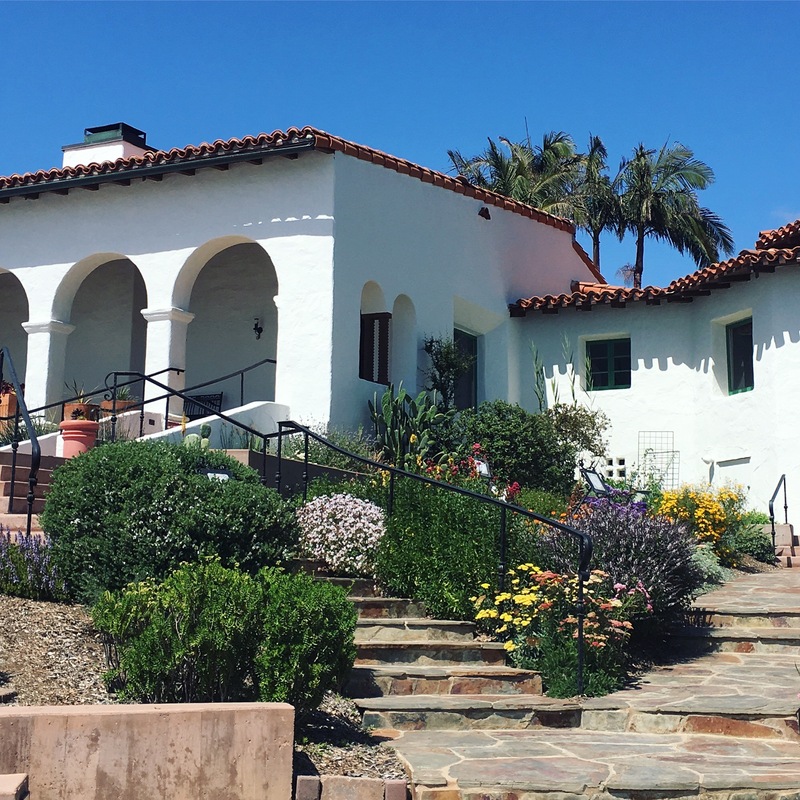 The Casa Romantica Cultural Center and Gardens in San Clemente, CA overlooks the Pacific Ocean and hosts a vibrant series of arts programming. Photo courtesy of Casa Romantica. Much of your career has unfolded on the coasts, but you have some Twin Cities roots. Where did you grow up? I grew up in Edina and attended The FAIR School, followed by Edina High School. This Candide with Vocal Essence and Theater Latté Da is only my second time performing professionally in the Twin Cities, the other being a concert with the Bakken Trio earlier this year – I’m so glad to be back! Are there some favorite places or activities that you like to go to or do when you return? My favorite things when home are the lakes (when warm), hanging out with my family and dog, and indulging my shameless obsession with Punch Pizza. Let’s talk professional websites. They’re now a de facto part of being a professional singer at a certain level, and there are lots of ways to get and maintain them. How do you maintain yours? I honestly just did some research, hired someone, gave them all the content, went back and forth on exact design layout and details, and now mostly update it myself. Candide plays March 21-24 at the Cowles Center for Dance and the Performing Arts in Minneapolis, MN.